With the roar of a passionate home crowd behind him, Hiroki Akimoto wants to put on a showcase of the nation’s martial arts excellence against Joseph “The Hurricane” Lasiri this Sunday, 31 March. The WFKO Karate World Champion will make his sophomore ONE Super Series appearance in this flyweight kickboxing match-up at the massive ONE: A NEW ERA event in Tokyo, Japan. 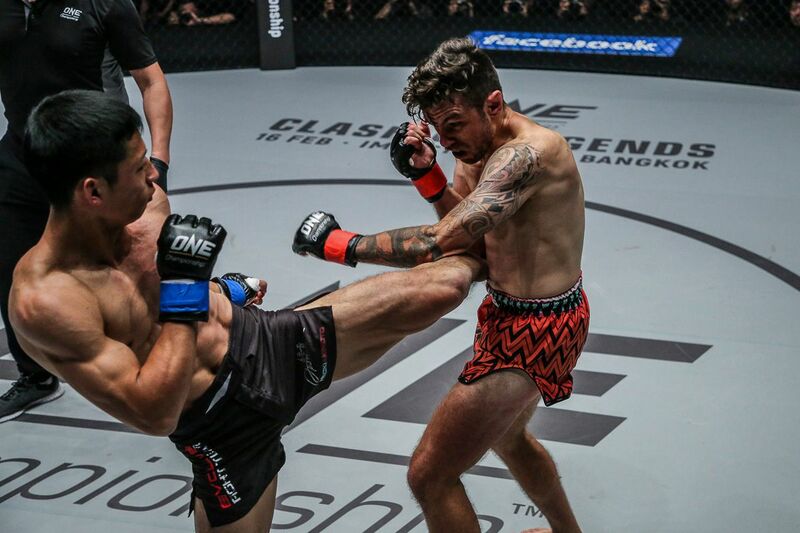 Expectations are high for another highlight-reel performance after he announced himself on the global stage for martial arts with a phenomenal display in his ONE Championship debut in January. In front of a partisan crowd at the famous Ryogoku Kokugikan, Akimoto is confident he can deliver and generate a buzz about his future in ONE Championship. “I want to go out and win by knockout, and let it inspire people,” he says. The 26-year-old cannot wait to represent his motherland on such a historic bout card. He was born and raised in his country’s capital, and it is where he found his love for martial arts. 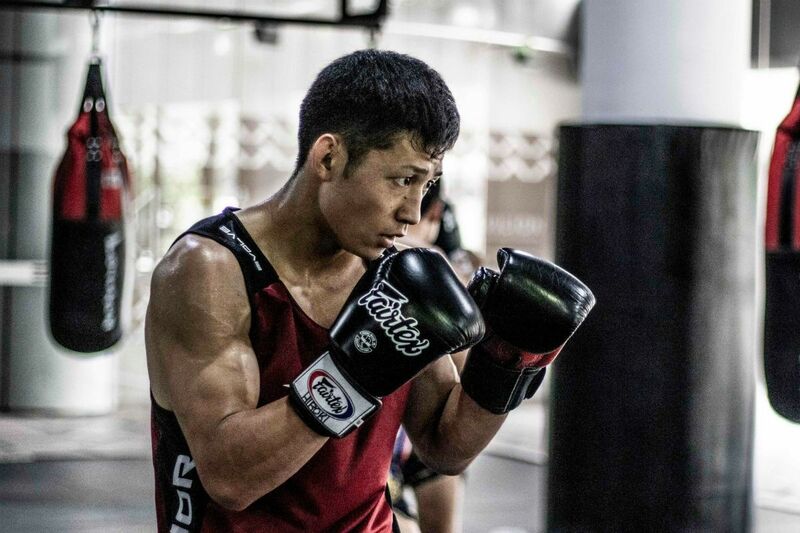 Although he has recently moved to Singapore to train alongside the elite athletes at Evolve, he has lost none of his patriotic pride, and that has fired up his motivation during his training camp. “I think it’s great that ONE is bringing world-class martial arts back to Japan. I am truly grateful to be part of this and to be on this historic card. I can’t wait,” he says. For many athletes – including ONE: A NEW ERA main event star Shinya “Tobikan Judan” Aoki – the pressure of living up to fans’ expectations on home turf is a huge weight on an athlete’s shoulders. However, Akimoto insists he is immune to those kinds of stresses. Any extra support he will receive when he steps out into the arena on 31 March will only be a positive thing. “I do not feel pressure,” he says. His steely focus is a product of the kind of training he received since he was a child. Akimoto came from a family of martial artists and started to practice karate from the age of 8. The methods employed to teach him and the lessons he learned were traditional, but they complimented his personality – which he believes is typically Japanese – and set him up for World Championship success in his martial art, and when he became a professional kickboxer. His skills were honed through a culture of excellence, which was sometimes not for the faint-hearted, but Akimoto would not change a thing about it. “I think that maybe because Japanese people are very serious about things they dedicate themselves to, it translates into success in martial arts,” he explains. Akimoto is delighted to be a part of the world’s largest martial arts organization’s first foray on Japanese soil, along with his countrymen: Aoki, Ken Hasegawa, Mei Yamaguchi, Senzo Ikeda, and Yuya Wakamatsu. Akimoto believes the promotion’s values are well-aligned with those of Japanese martial arts, so he has the perfect platform to give his supporters something to cheer for. “I think that ONE Championship will exceed everyone’s expectations in Japan. They are representing Japanese martial arts in the right way,” he says. NEXT POST Next post: Mig Elorde Retains WBO Asia Pacific Belt; Casey Morton Retained WBO Asia Pacific Female Title.